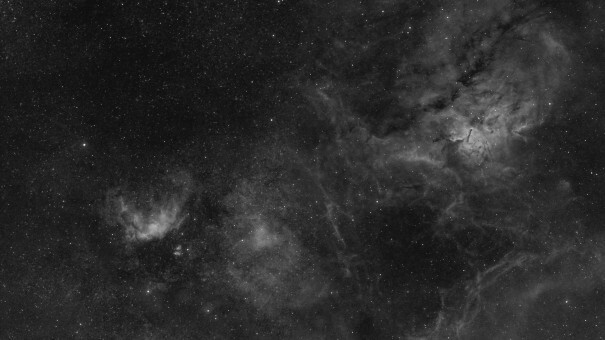 Finally some clear sky last nigh provided the perfect opportunity to acquire some Ha data for the second panel of my ongoing Vulpecula region Project. The second panel revealed an interesting object not too dissimilar in form and structure to that of the tulip nebula of Cygnus. See the left hand side of the image below. It will be interesting to see how this structure responds to OIII filtration.